Created for the Las Vegas Natural History Museum, the interactive Mummy is an opportunity for visitors to move a mechanical scanner over a mummy to reveal the secrets inside. 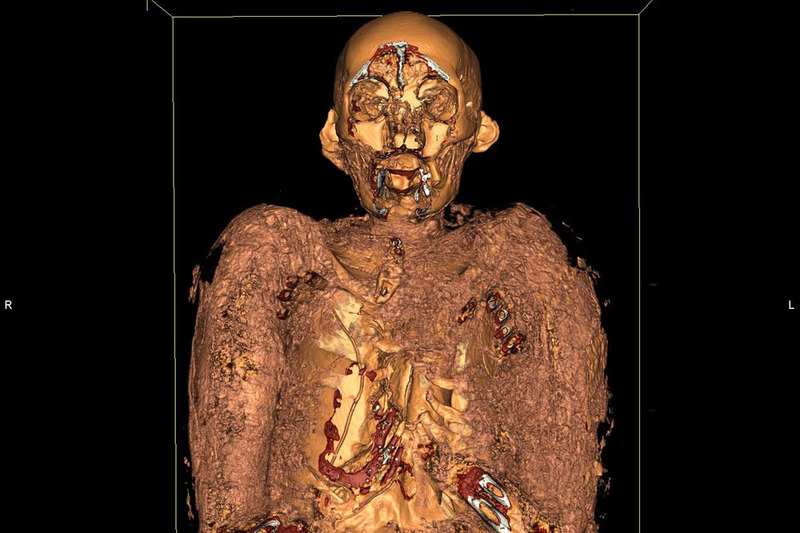 We used genuine mummy scans from the Akhmim Mummy Studies Consortium (AMSC) which directs CT (computed tomography) scans on Egyptian mummies and archives the information for research purposes (http://amscresearch.com/). In combination with our state of the art exhibit technology, visitors are able to explore the insides of an ancient mummy and on the way discover hidden amulets and scarab beetles.